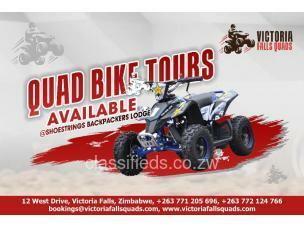 Welcome to the best Quad Biking venue in Victoria Falls, Zimbabwe. 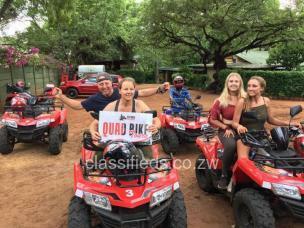 With a range of tracks through woods, terrain, down hills with the possibility of encountering wild life along the way and open fields we offer the most amazing escorted Quad Bike Safaris money can buy. Whether you have never been on a Quad Bike before or you are an experienced Quad Biker, we have the terrain and expertise to satisfy all levels of competency.